In the last, oh, hundred years, education has both changed a ton and also not changed much at all. 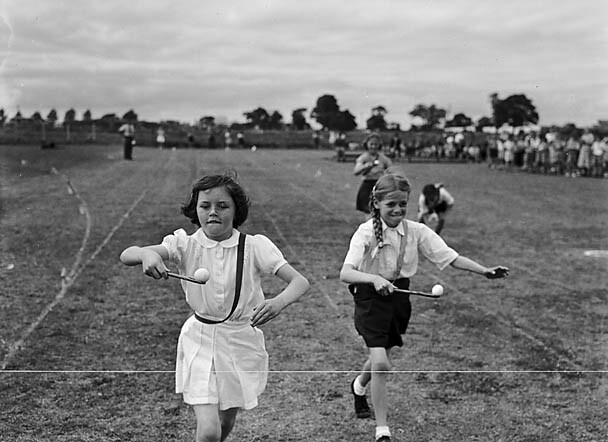 At least, that’s the lesson we’re learning from these vintage school photos from the Flickr Commons. Sure, we’ve got online education (oh, hello there!) and more and more schools are adopting emerging technology like tablets and other interactive tools. 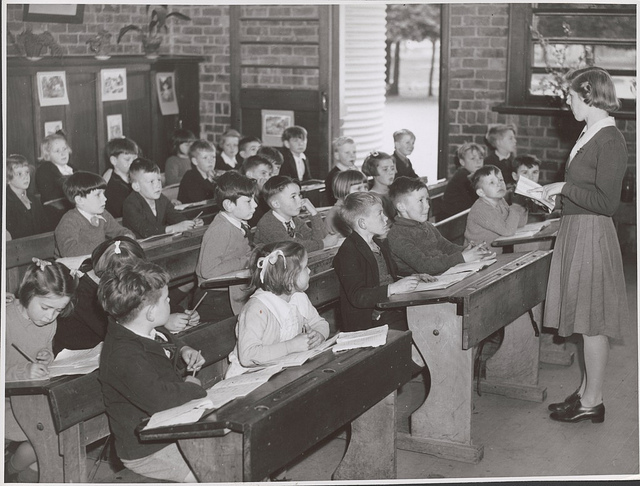 But really, classrooms kind of look the same as they did at the turn of the last century, save for the fact that the class sizes are larger and the school buildings are, in some places, a little fancier. 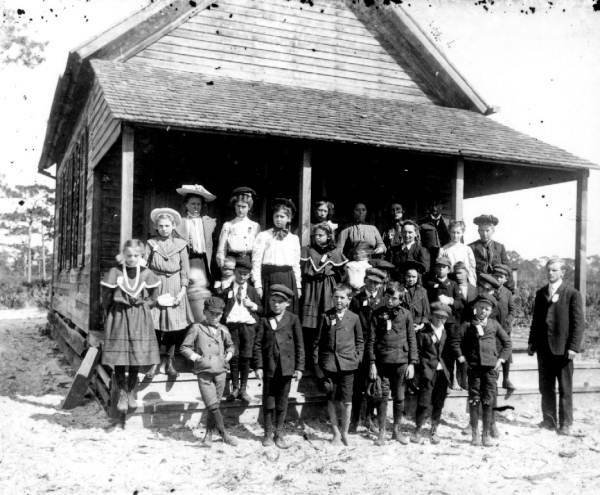 And even if education has changed more than it seems, group school photos haven’t much. Even with new technology and spiffy digital cameras, it’s still pretty trying to get a group of a dozen or more children to sit still and look at the camera long enough to get a decent shot of all of them. Let’s start with a pretty old one; this photo is dated 1906. Check out the little guy in the front with the swagger-heavy pose, and how many of the kids are blurry because photos at that time took forever and they probably got kind of anxious. So, at least modern school photographers don’t have to deal with quite as many technological issues. 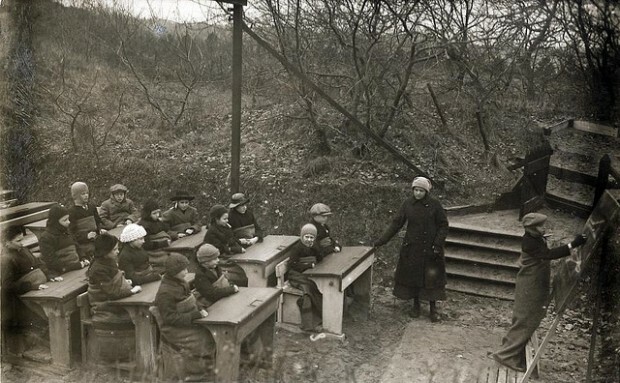 The National Archive doesn’t offer a reason why these kids, circa 1918, were forced to attend class outside in the freezing cold, but it probably has to do with the fact that education wasn’t really considered necessary or a priority until a few decades after this photo was taken. There’s a good chance these chilly kids didn’t have a reliable place to attend school — so, as far as access goes, education has definitely advanced. 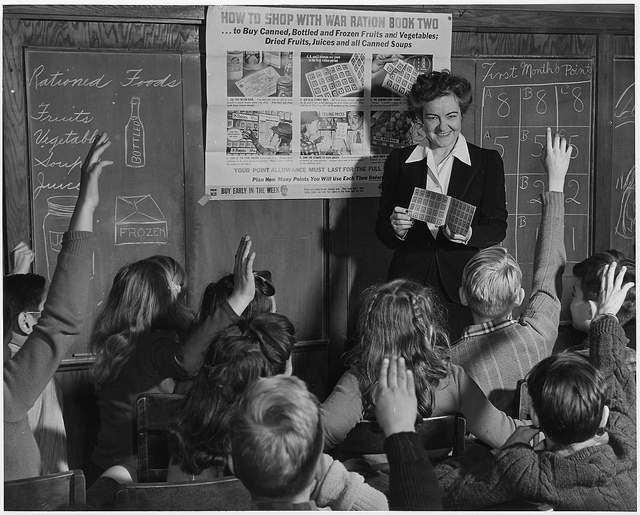 At times, education has been very practical, like in this scene from 1943, when a teacher was instructing the pupils how to shop with a ration card, due to the limited supply of food and goods during WWII. Why are all these Naval fellows’ heads down? 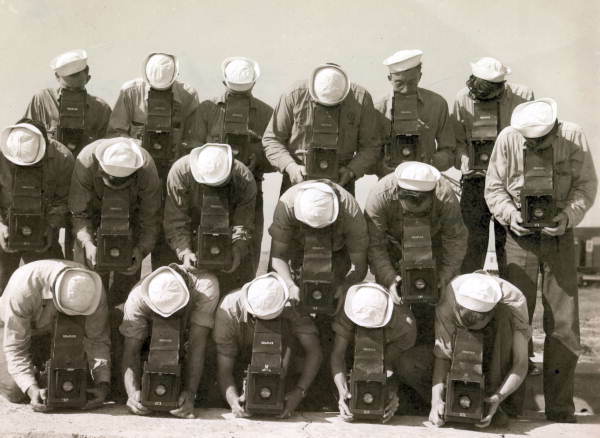 Because they’re in photography school, and demonstrating their skills with Graflex cameras in Pensacola. Sort of an interesting concept for a class photo, no? 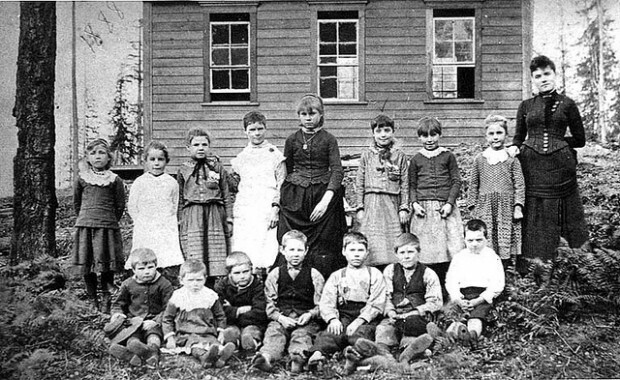 This one-room school house was the first school in Edmonds, Washington, located north of Seattle. The school had to house all of the students of the town, regardless of age — which explains the unhappy-looking toddlers in the front. 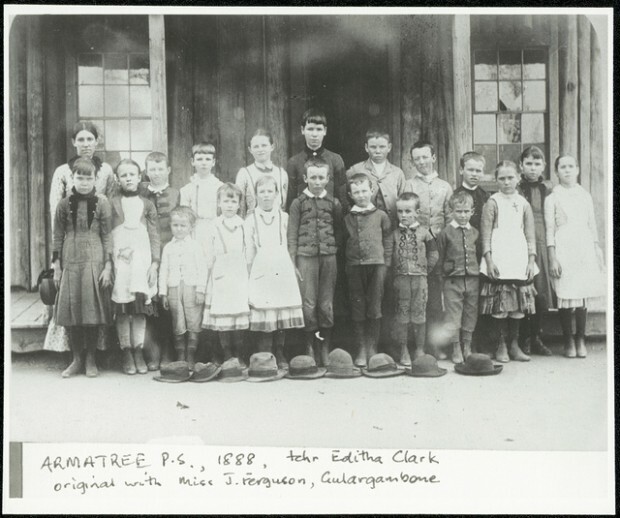 That same year (1888), on the other side of the world, this school in New South Wales had a pretty similar class of students. Who doesn’t love Field Day?